I love Autumn but I hate Winter. Don’t get me wrong there is something romantic about December. 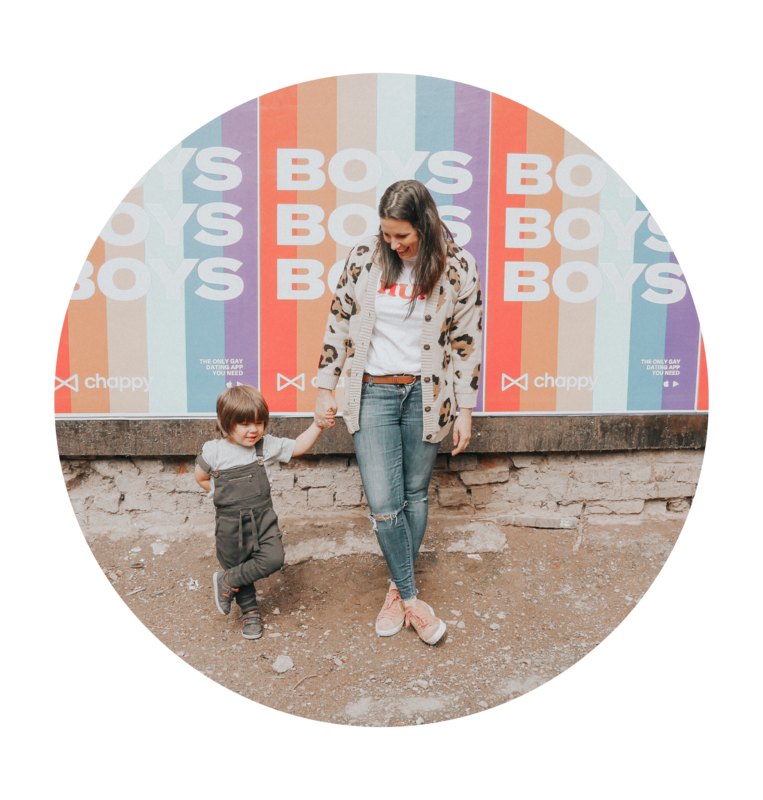 The build-up to Christmas means everyone is happy and there’s a certain magic in the air when you have a child. I hate winter because I hate being cold, I despise wet leaves and don’t even get me started on day old snow. After being cooped up inside with coughs and colds we decided to brush off the cobwebs and have a day out to our local national trust property. The heavens obviously opened and after a quick moan from me (I hate the rain too) we slipped on our wellies and braved the drizzle. 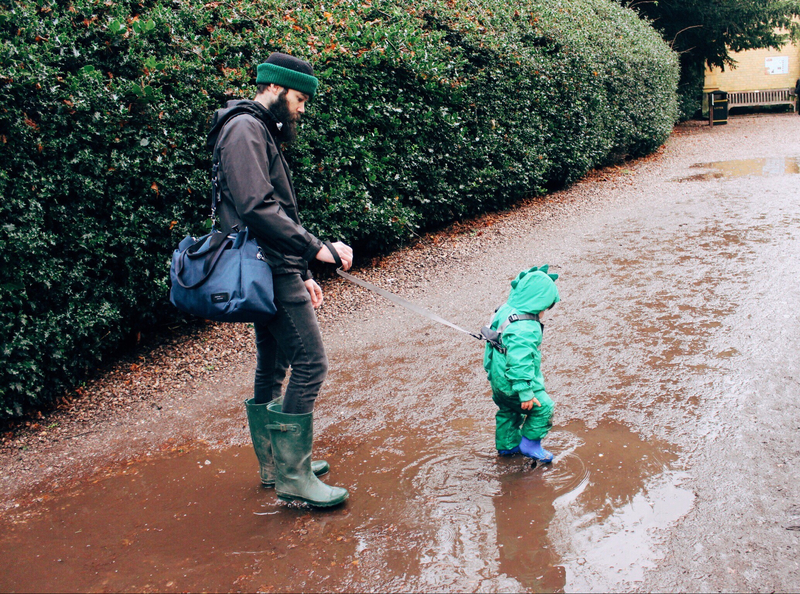 You also need a changing bag that can withstand the aftermath of the muddy puddle splashing. 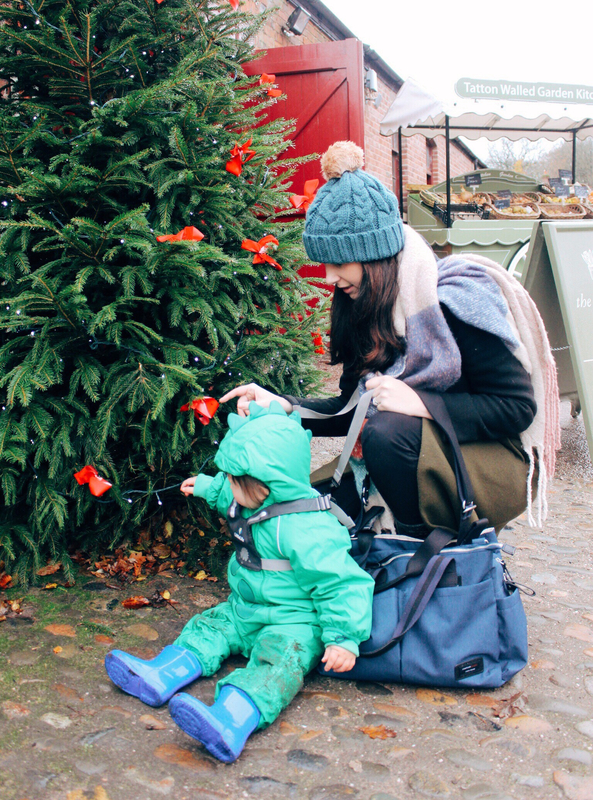 If you follow me on Instagram you will know that my Storksak Noa aka the ‘changing bag of dreams’ is my ‘go-to’ changing bag! 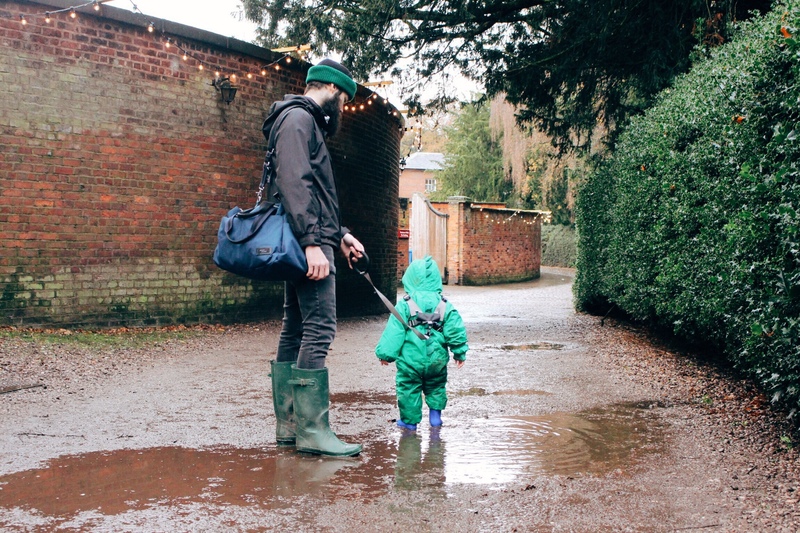 My Storksak Noa is far too pretty to be subject to muddy puddle splashing. My Storksak Navy Travel shoulder bag, on the other hand, is ideal. 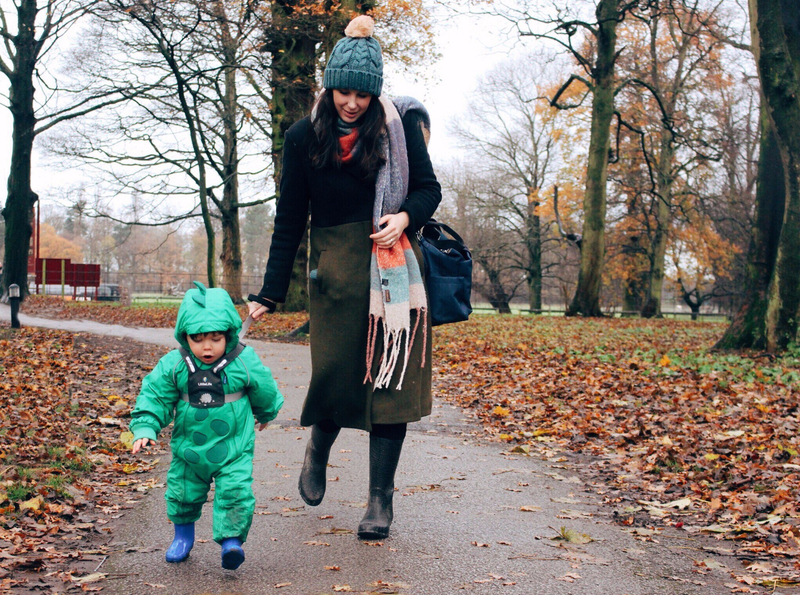 Featuring plenty of pockets and compartments like my Noa, it’s super lightweight and it’s unisex so Daddy can help out with the bag carrying. 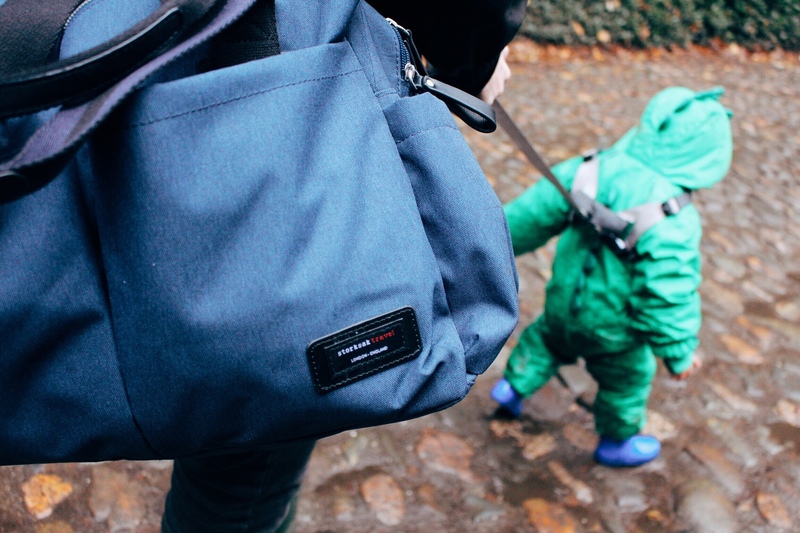 Not only does the Storksak Navy Travel feature a zipped bottle holder and a laminated fold-out changing mat. It’s also water resistant (not muddy puddle water resistant) but it can withstand some winter drizzle and not so muddy puddles. 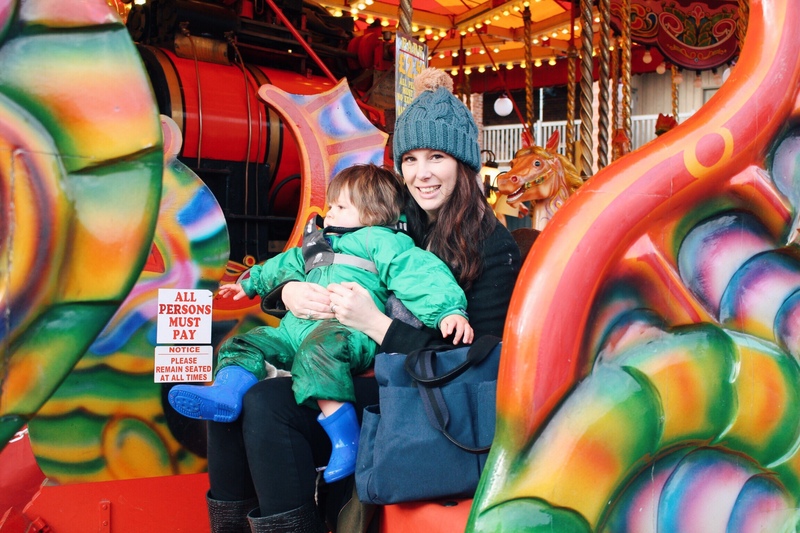 After our muddle puddle escapades, Sebastian was far too tired to continue to walk tantrum free, so we played under a Christmas tree and rode a vintage carousel. Delightful. 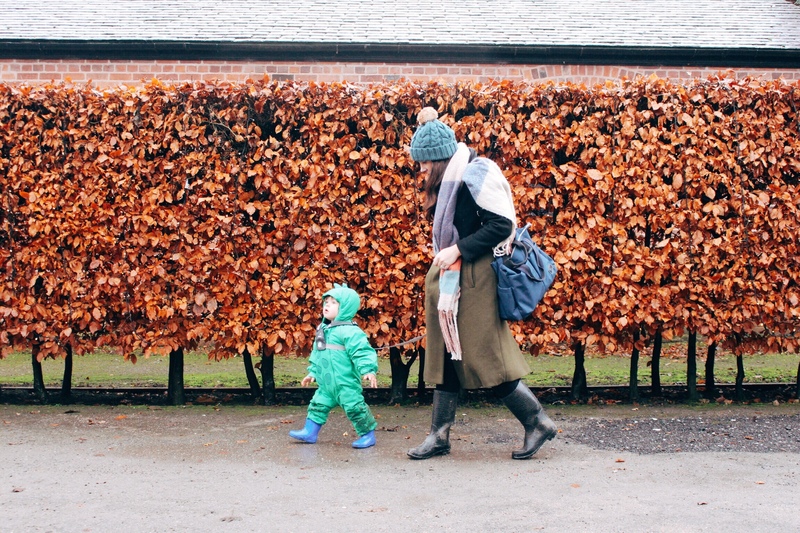 This post is in collaboration with Storksak and they kindly gifted me the ‘muddy puddle’ changing bag for this review. As always comments and photos are my own. Further information about Storksak can be found here and the full Storksak Travel range can be found here.